Thank you for joining Responsible Dog Owners of Canada! Please fill out the Membership Form (follow the link), and press the submit button. You will then be immediately returned to this page. To pay with PayPal or by credit card, you may use the button below. Persons with disabilities are now eligible for the discounted rate of $10. If using the above form, please use the Senior/Full-time Student category. 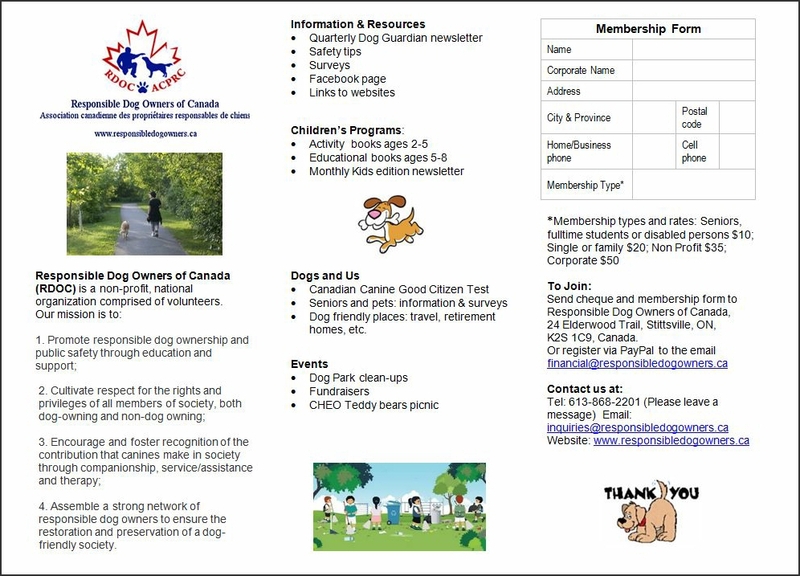 Membership is open to all dog owners and dog enthusiasts who support responsible dog ownership. If you would prefer to support RDOC's educational programs with a donation, there is more information on our Donate page.